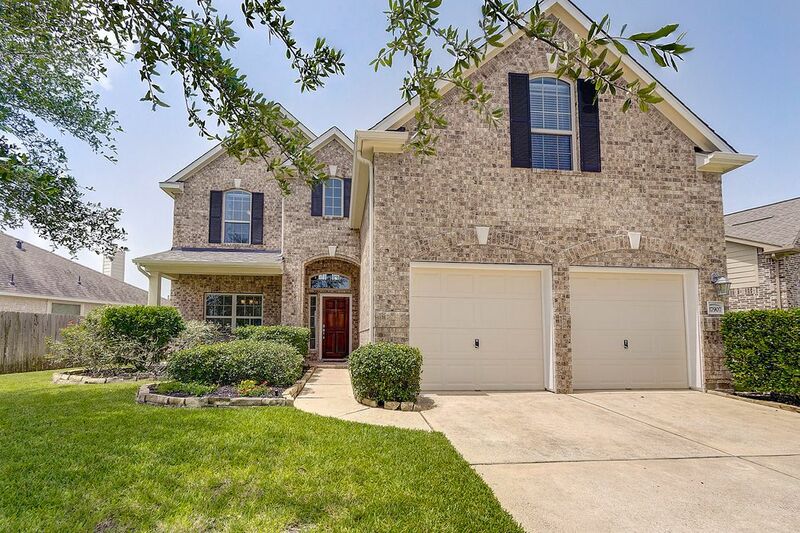 17907 Windy Canyon Lane, Houston, TX 77084 | Martha Turner Sotheby's International Realty, Inc. 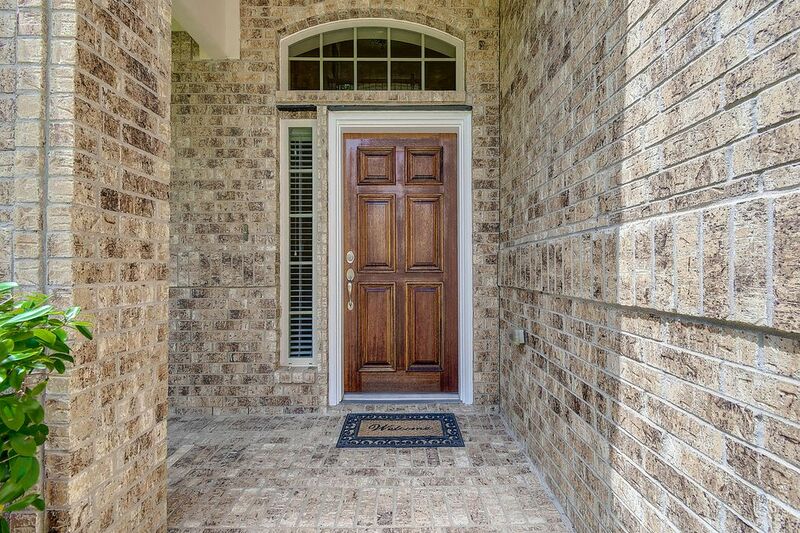 Welcome home to 17907 Windy Canyon in Lakes of Pine Forest. Builder warranty until July 2019. 55 foot lot size with 2 trees in the front yard along with brick paved entry lined with greenery and American made clay brick. 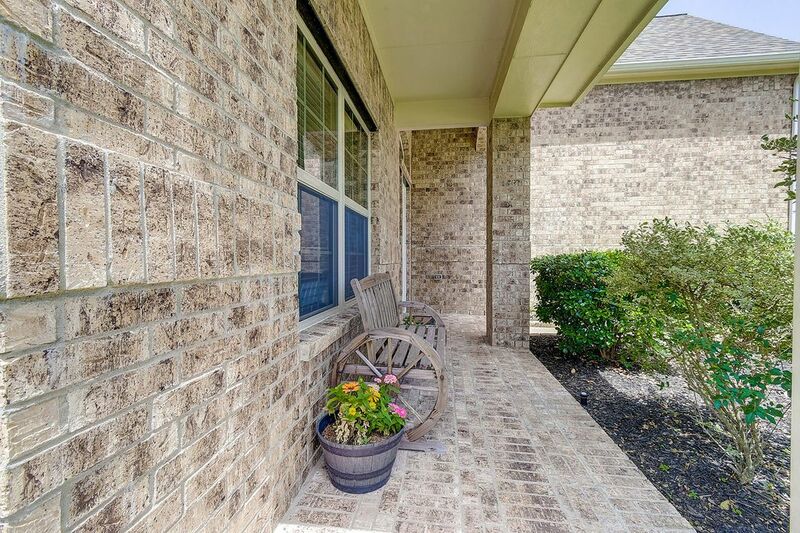 Enjoy coffee on this upgraded front porch. Welcome home. Security System installed with wireless window sensors on downstairs windows. 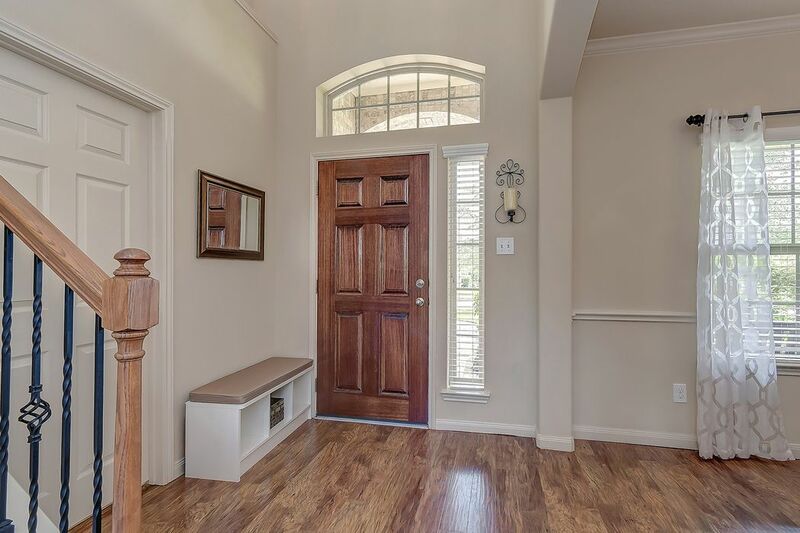 Walk in to your 2 story entry and the hand scraped style floors through the elegant, stained mahogany front door . 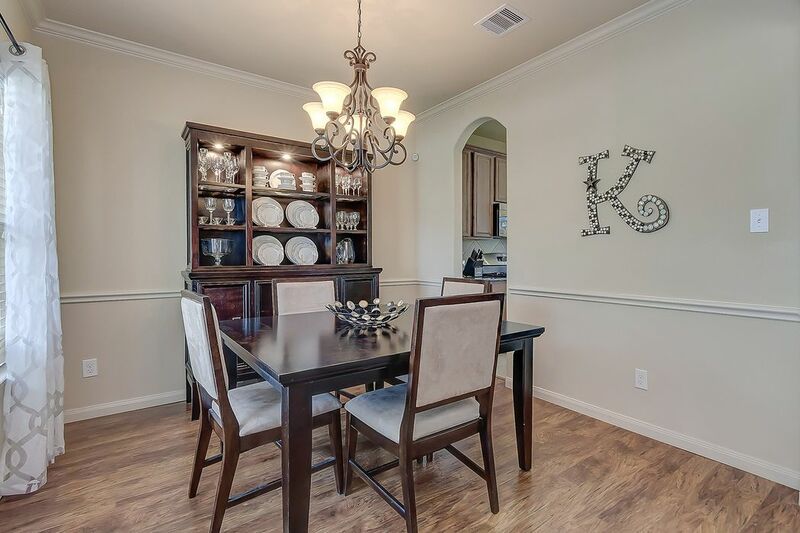 Enjoy holidays and special occassions with your formal dining room with crown molding and chair railing. 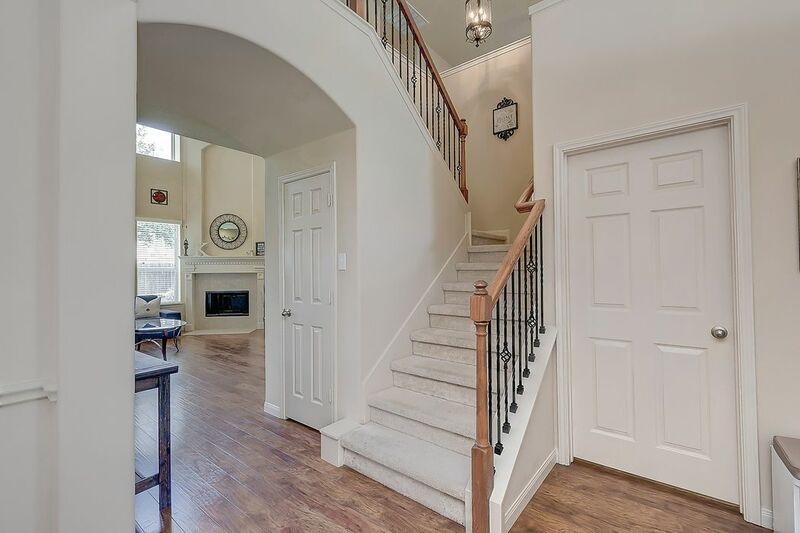 Beautiful archways with upgraded wrought iron stair case railing as you walk upstairs. 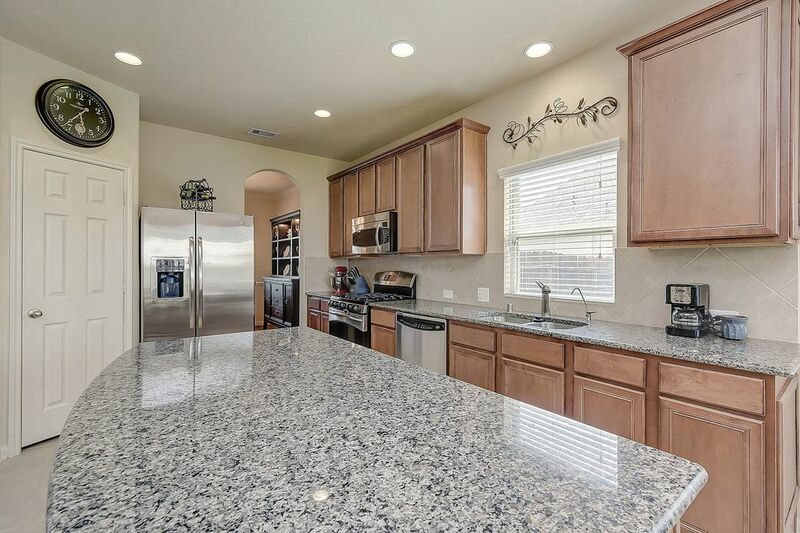 Large island with granite featuring space for bar stools and a energy star rated dishwasher maximizing efficiency. Also a convenient spice rack in the pantry add function and efficient storage. Beautiful 42 inch maple cabinets and recently sealed grout in the kitchen. The ceramic tile on the kitchen floor is low maintenance for quick clean-ups. 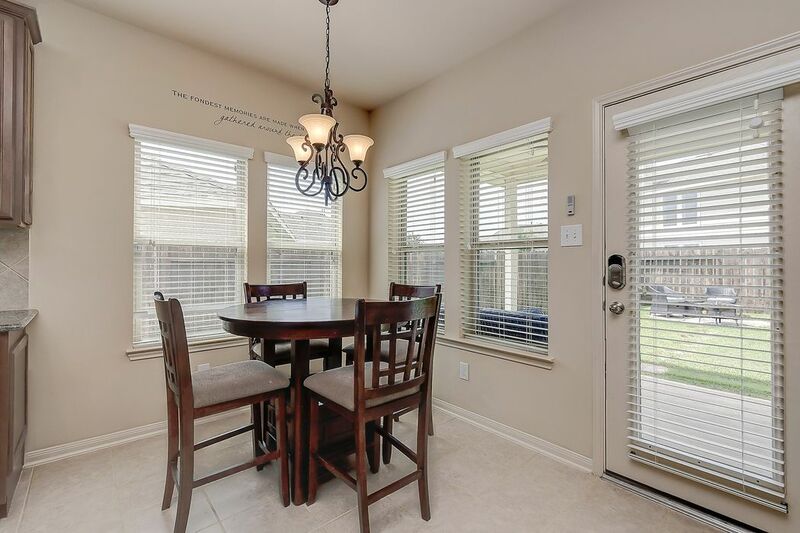 Breakfast area with 2 tone interior paint throughout the home. 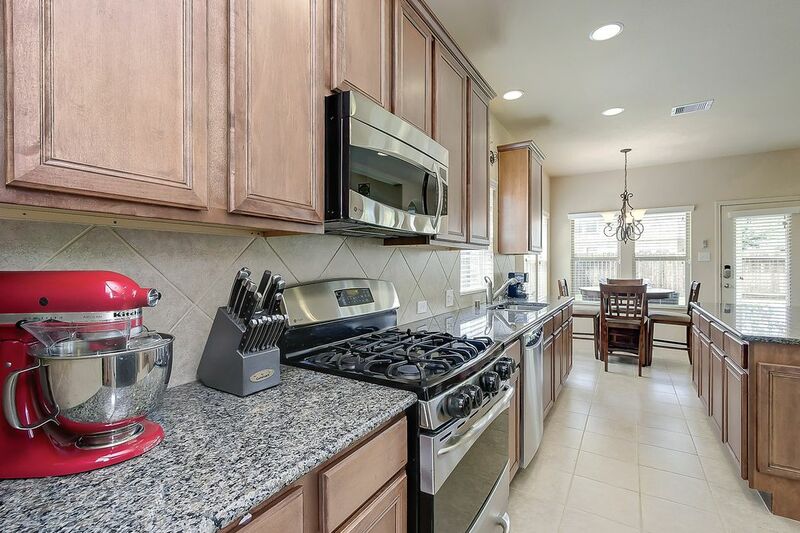 In the kitchen there is elegant ceramic backsplash. View from the 2nd story overlooking the large family room with a gas fireplace. Hand scraped style floors with plenty of light with recessed can lighting. 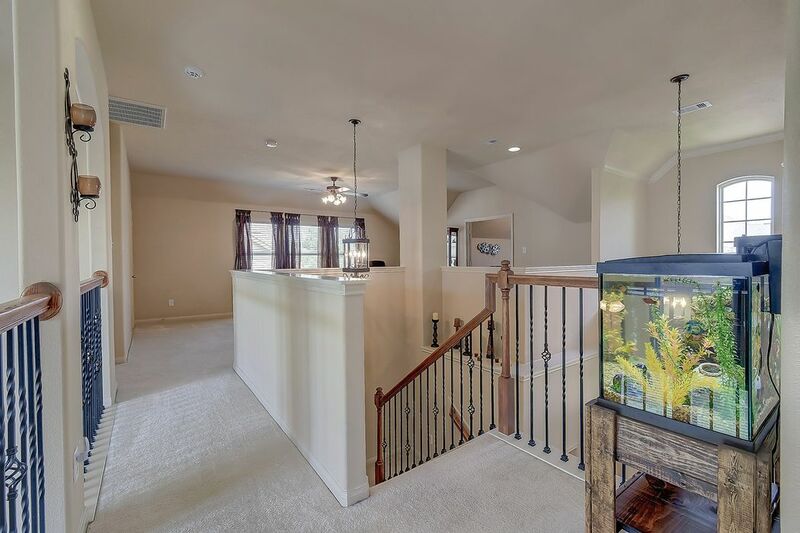 2 story living room with another beautiful arch-way as you walk toward the back door into the fenced backyard. 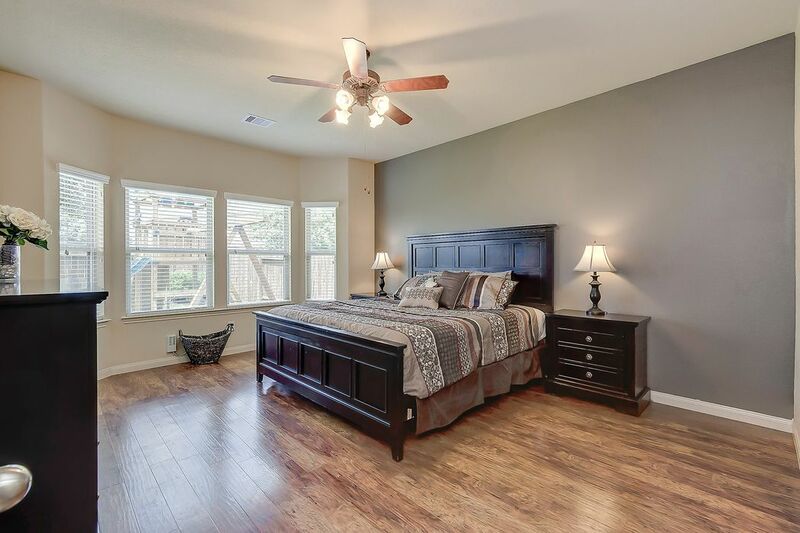 Master Bedroom with an upgraded Bay Window and a ceiling fan. 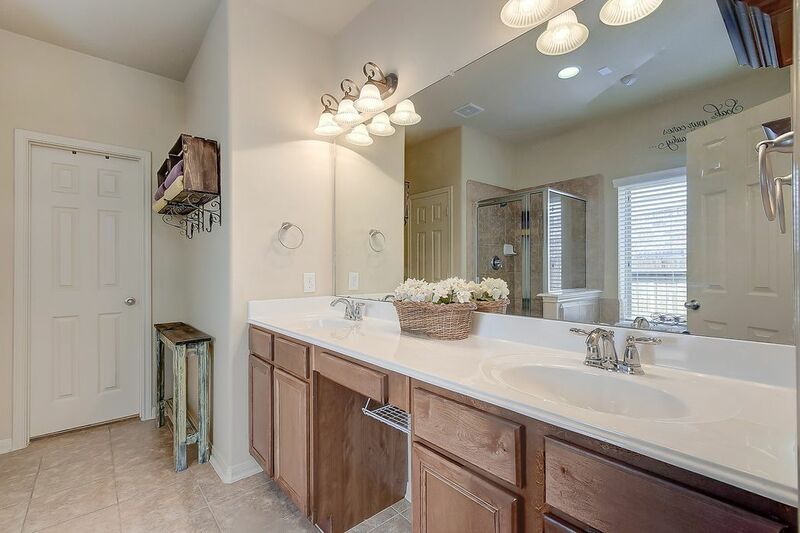 Master Bathroom with dual sinks. 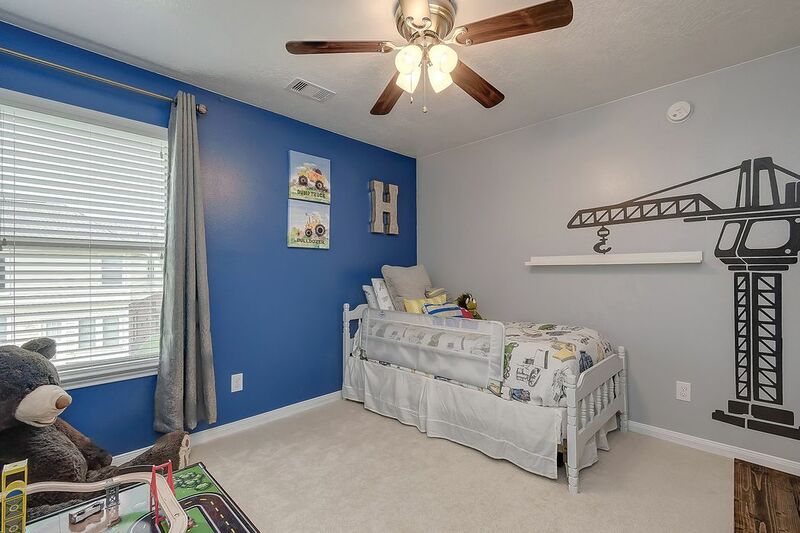 In the Master closet is 42 feet of hangable space for clothes and an air vent and a raised ceiling for more storage options. 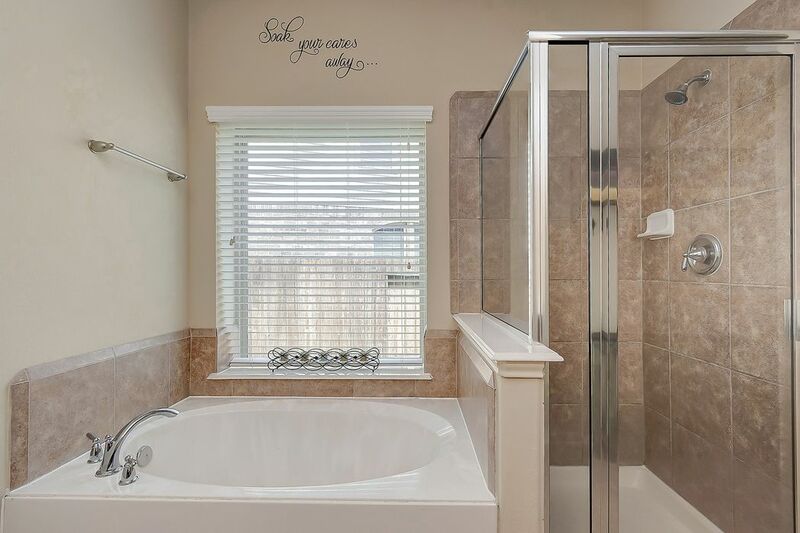 Master Bathroom with a soaking tub and a separate enclosed shower and a private toilet room. Included are Moen chrome plumbing fixtures in all baths for a timeless look. 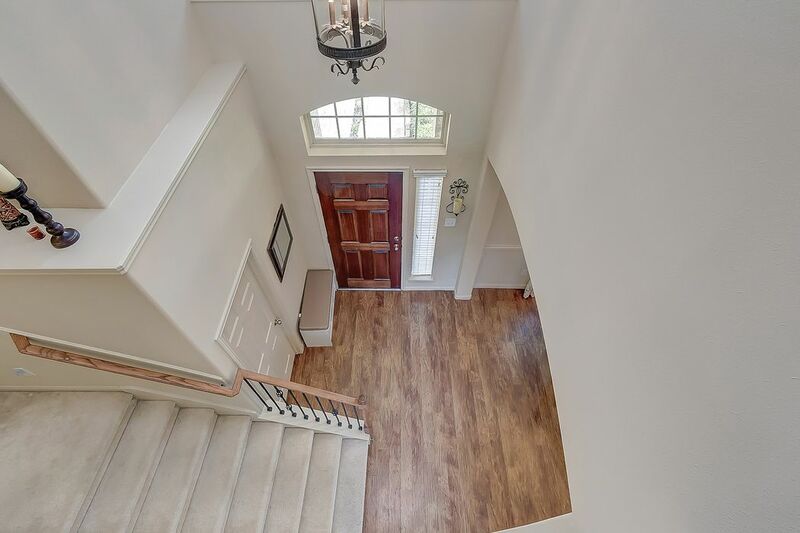 Under the staircase is additional storage and lighting with a secret passageway to the entry way. 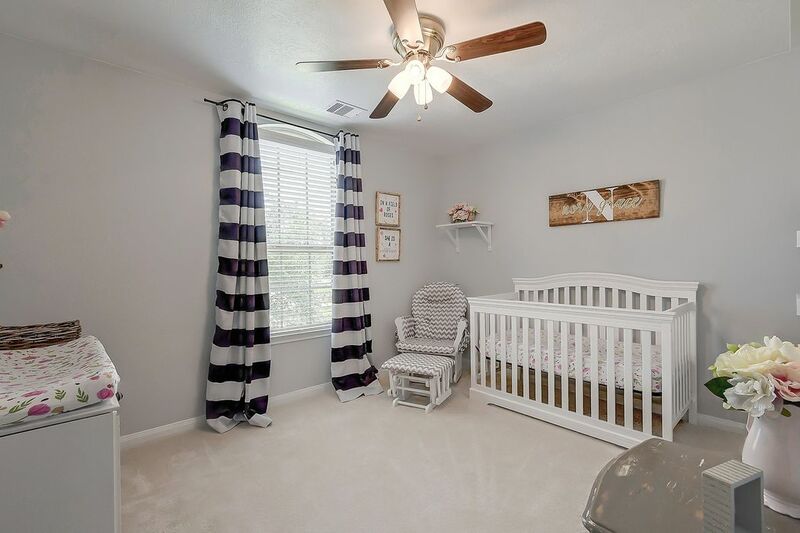 Upstairs offers 3 bedrooms with ceiling fans and closets. Upstairs bathroom for family and guests playing in the game room and enjoying the media room. 2nd upstairs bedroom with double pane windows featuring satin nickel door hardware. Carpeted 2nd upstairs bedroom with radiant barrier roof decking in attic. 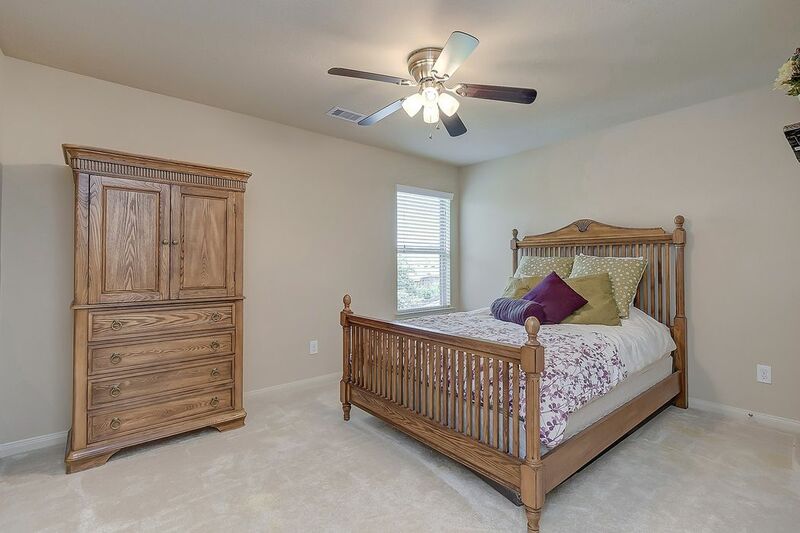 3rd upstairs bedroom with 2 separate closets. Recent smoke detectors installed with 7 year life. 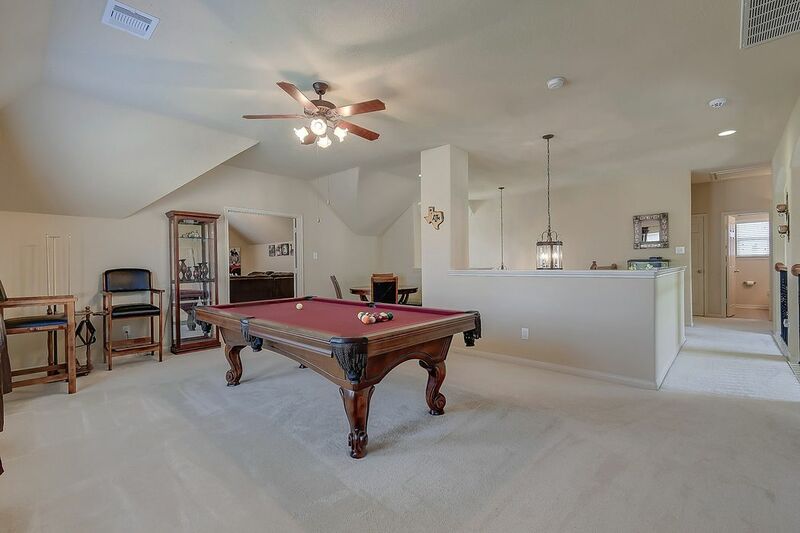 View of the open concept large game room. Large enough for a pool table. There is an additional seating area large enough for a table as well. 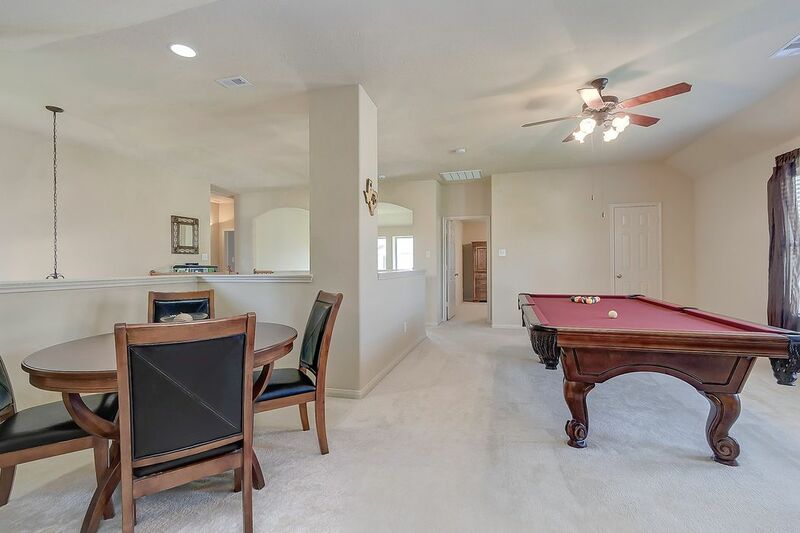 Space is large enough for another table for family and friends in the game room. 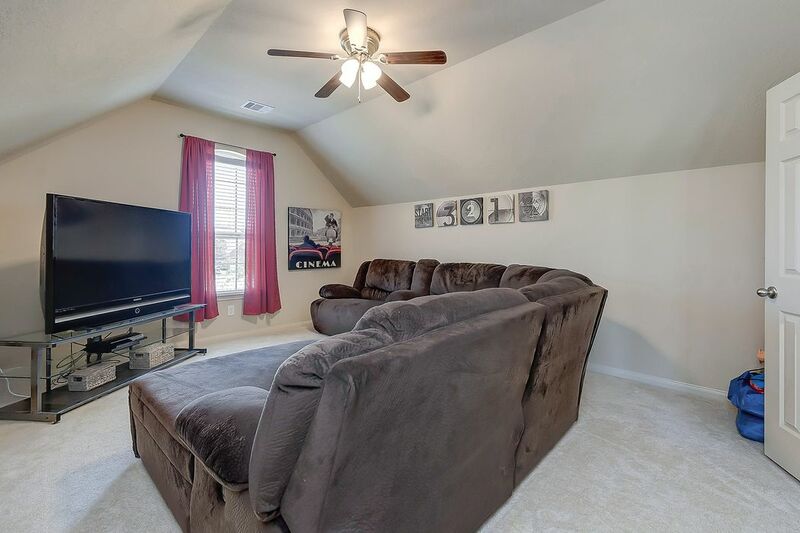 Upgraded media room by the builder located above the garage. 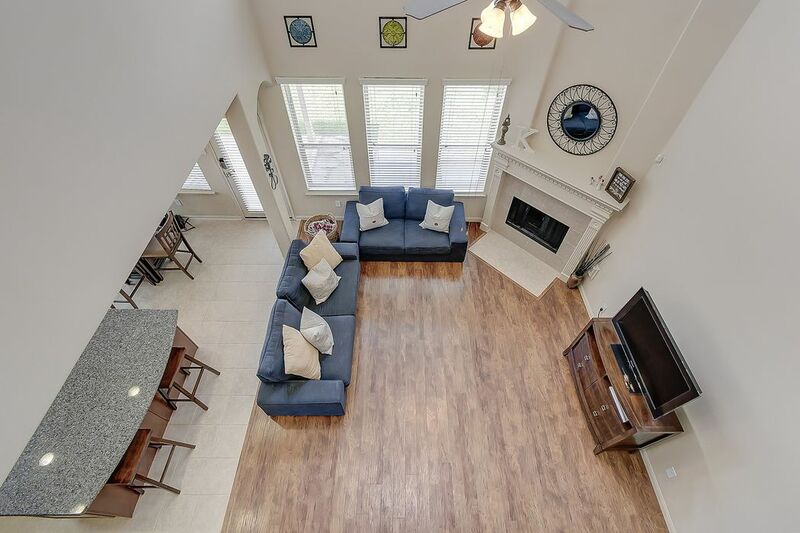 Rare addition to this floor-plan in Lakes of Pine Forest. View of the open concept upstairs area featuring wrought iron stair railing and open area looking over the soaring living room. View from the 2nd story overlooking the entry. To the left is the indoor utility closet. 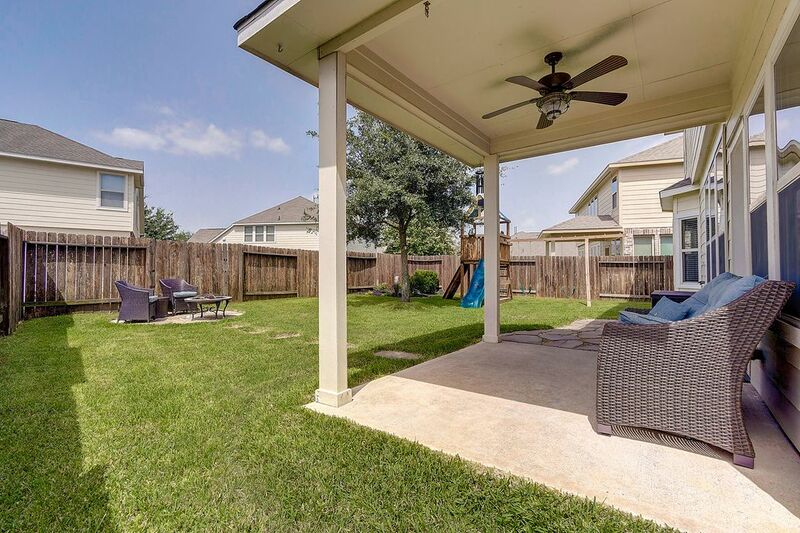 Large backyard with HOA approved cedar stained fence with the upgraded covered patio with a ceiling fan. Stone walkway invites you to the fire-pit with an 8 zone sprinkler system with irrigation system. Upgraded tree to provide shade while creating family memories. Upgraded 9 feet of flagstone flooring . 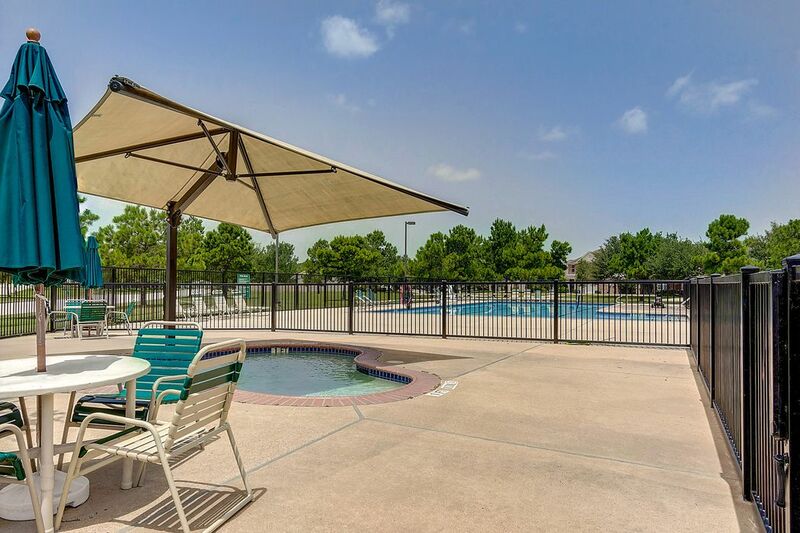 Neighborhood family pool only walking distance from 17907 Windy Canyon. 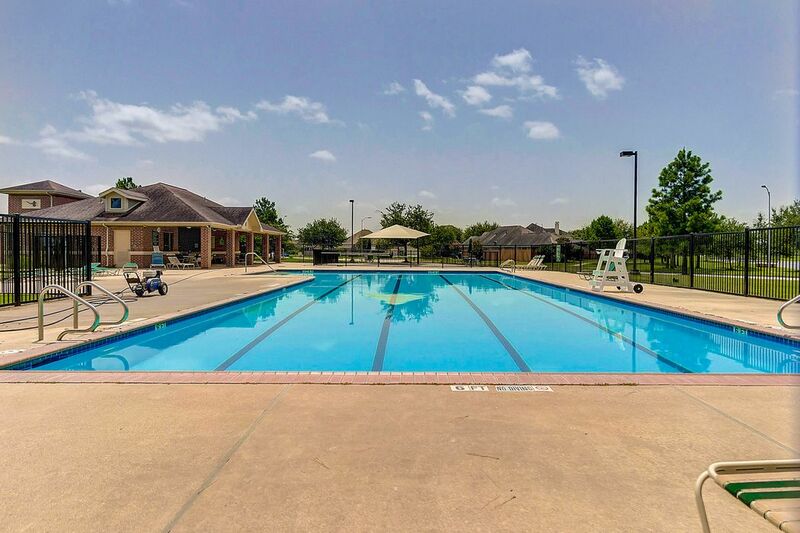 Covered area of the Lakes of Pine Forest neighborhood pool. 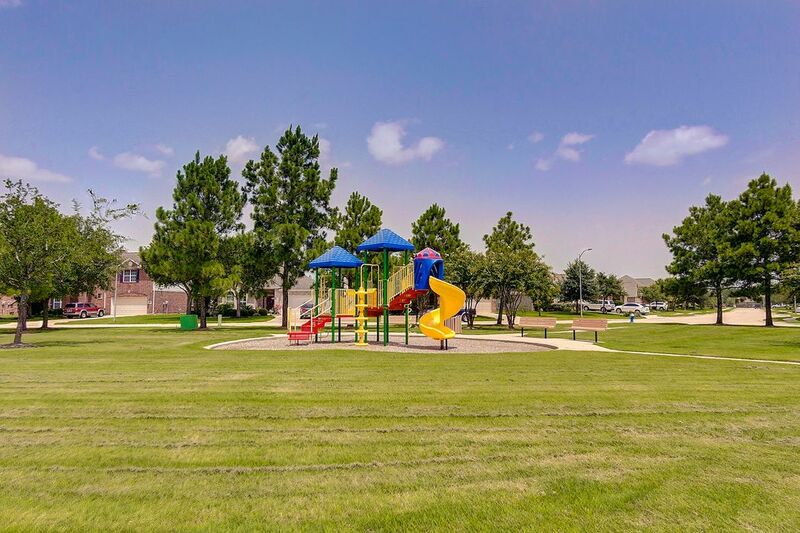 Walking distance from the home is the playground and green space. A view of the entry to the neighborhood and the waterfalls and enjoyable walking trails. 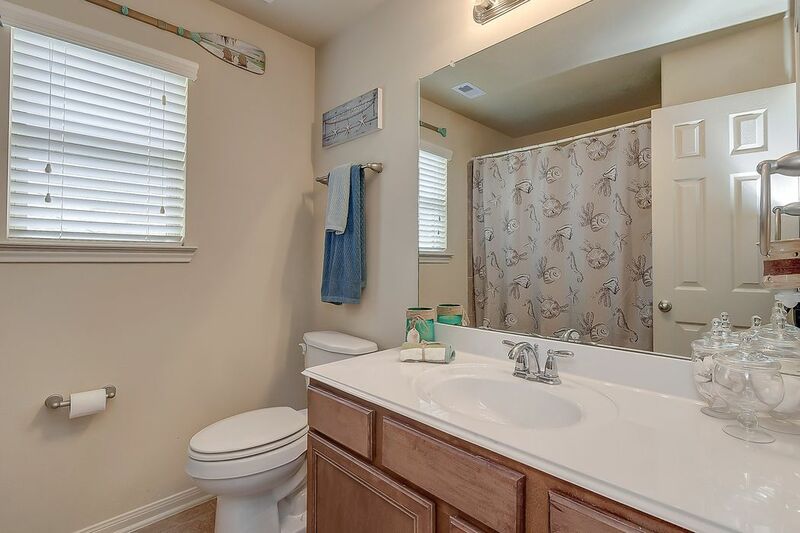 $260,000 4 Bedrooms2 Full / 1 Partial Baths2,796 sq. ft. 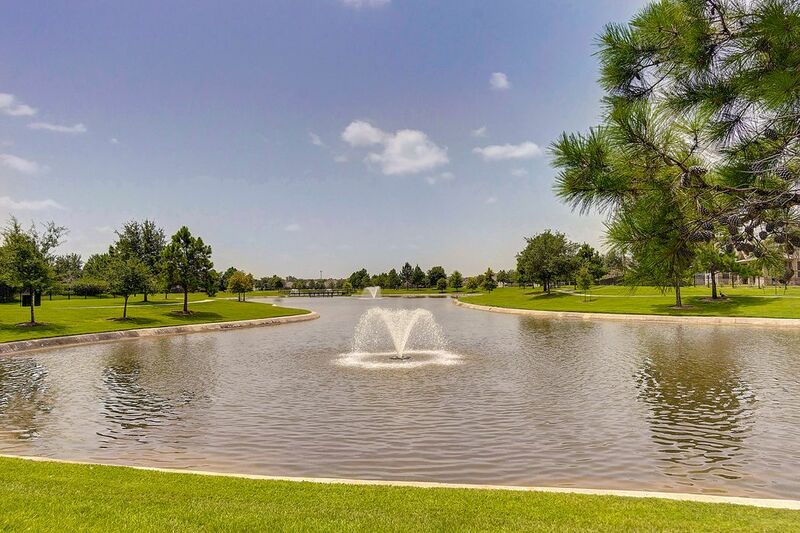 Welcome to Lakes of Pine Forest, an inviting neighborhood offering 4 duck ponds, a family swimming pool and playground. 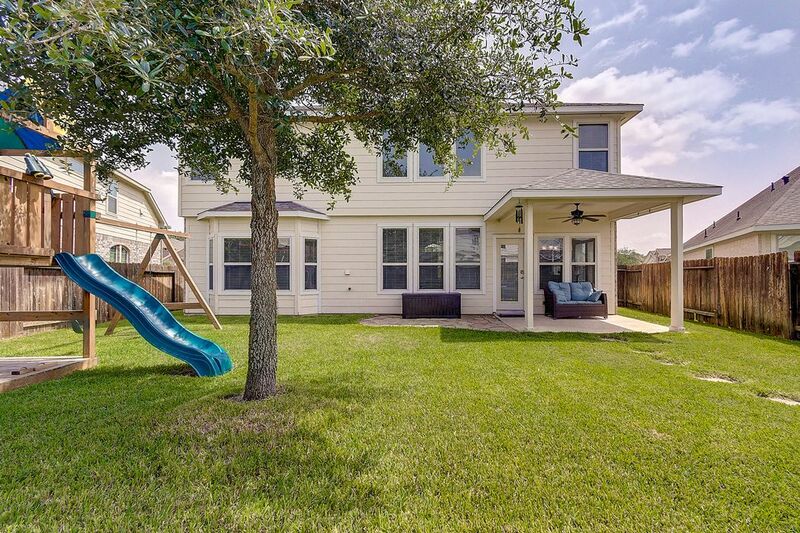 This Pioneer Home (Delfina II floor plan) offers a new roof (April 2018) and is accompanied by meticulous notes from the homeowner, including original survey. Stunning two-story entry welcomes guests. 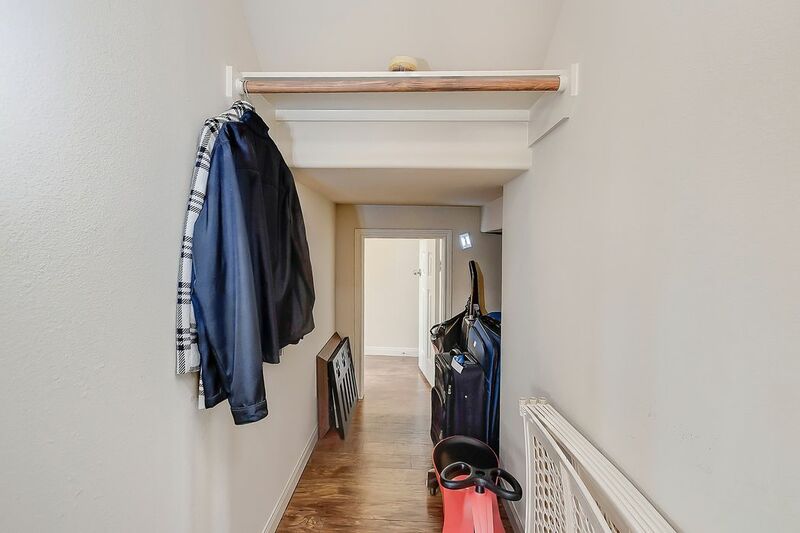 Garage offers 5 feet of additional storage space. 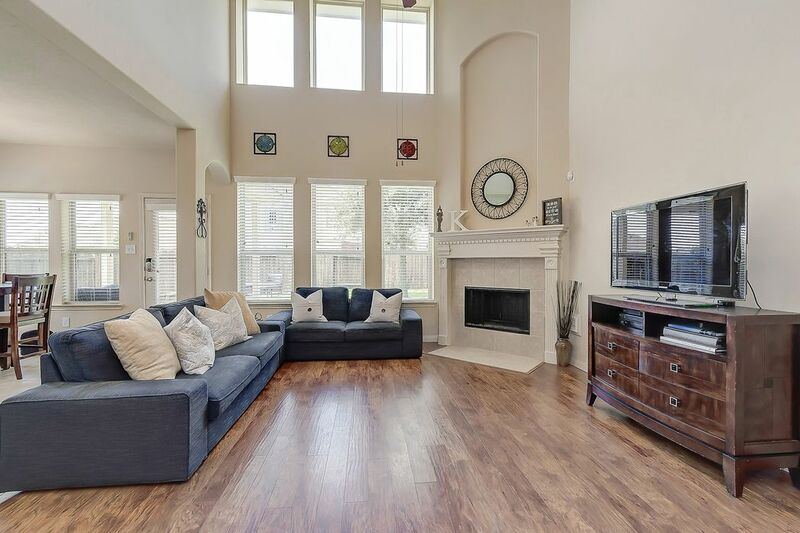 Home features include upgraded wrought iron staircase railing, granite countertops, security system, 42-inch maple cabinets, large island and stainless steel appliances. 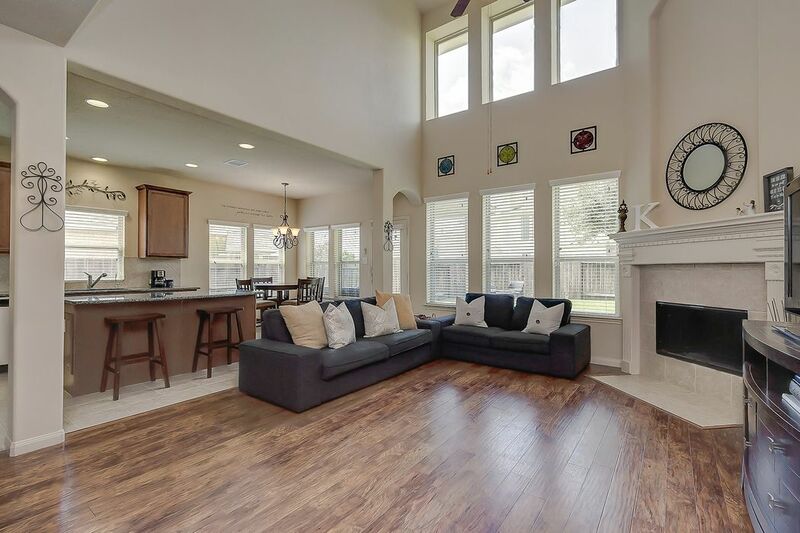 Airy two-story living opens to kitchen and formal dining. 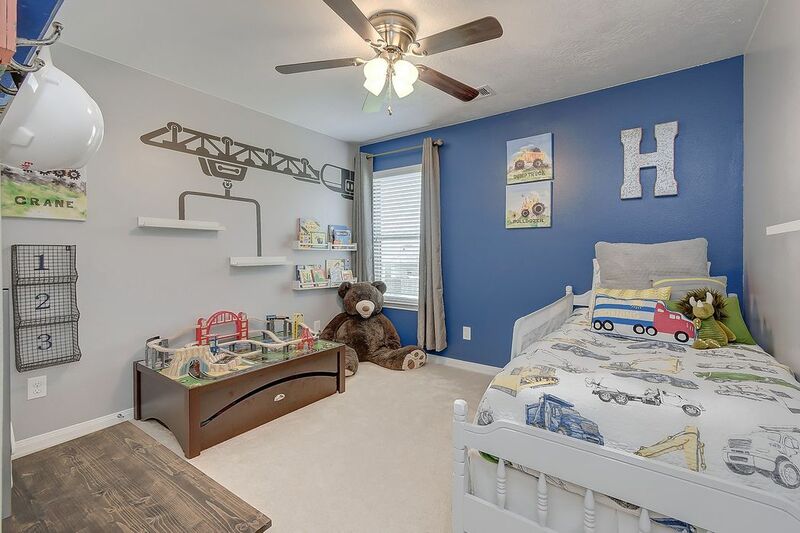 Master bedroom features bay window and double vanity en-suite with separate shower, soaking tub, private toilet and 42 feet of hangable closet space. Upstairs entertainment space includes game and media rooms. 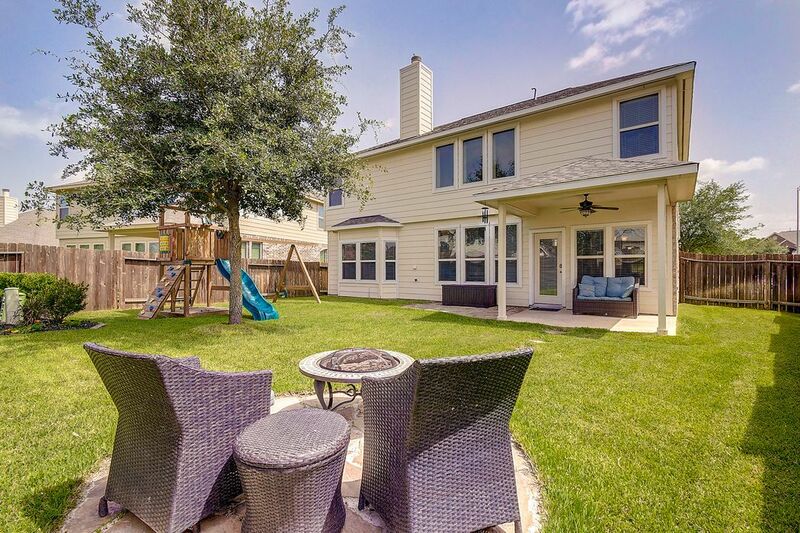 Enjoy outside upgrades, including covered patio, flagstone and fire-pit. 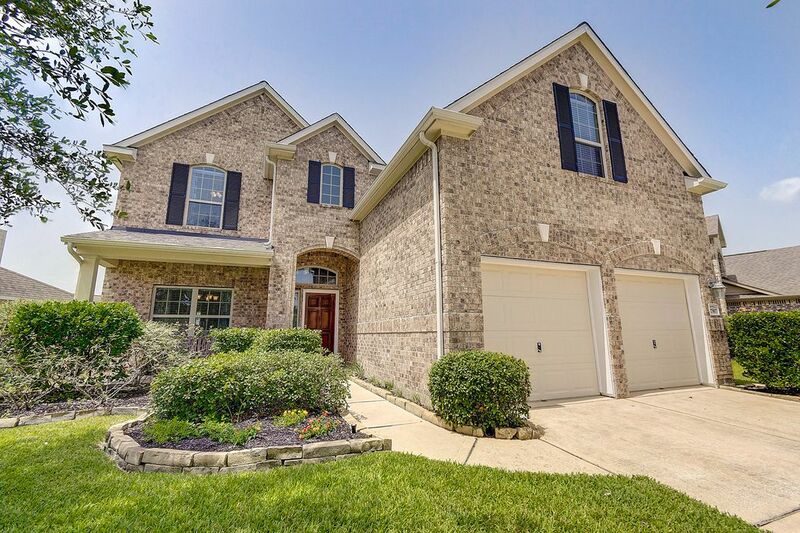 Keep cool with 15 SEER A/C, 8-zone sprinkler system, irrigation system, double- pane windows.